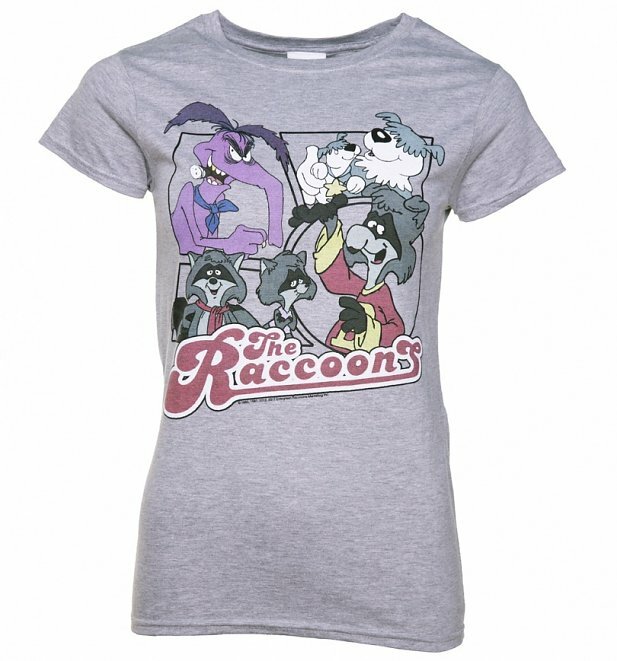 This is the TruffleShuffle blog, quiet, peaceful, serene… that is until our new The Raccoons TShirts and COMPETITION wakes up! Yaaaahoooooo! Luckily, we have a good friend to help us out in the form of The Raccoons creator Kevin Gillis! 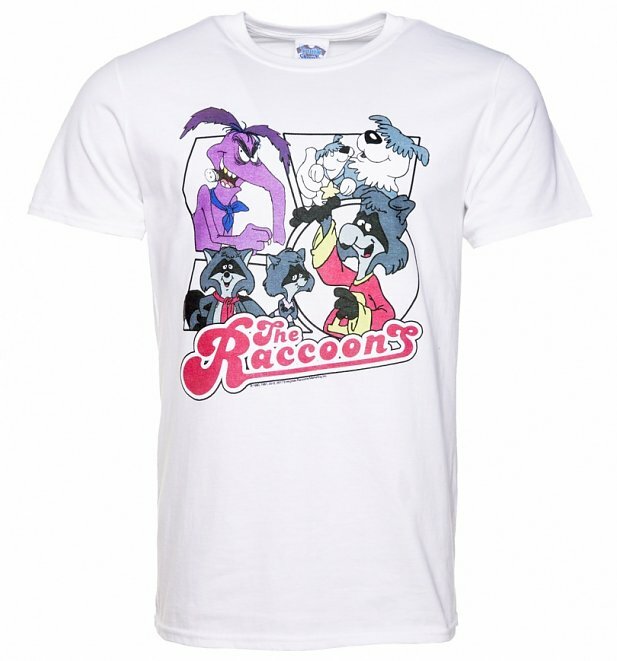 Like busy little Raccoons ourselves, we’ve been hard at work with Kevin to create some all new and exclusive Raccoons T-Shirts which are now on the site! We have one new design which has been lovingly screen printed onto four styles and colours including grey & white tees, blue vest and a grey baseball raglan TShirt! To celebrate our latest arrivals in style and give you guys a little glimpse into the world behind The Raccoons, we stole Kevin away and threw some questions at him (don’t worry we were gentle). Take a look below to see what we found out from the man himself…. Hi Kevin, thanks for taking to time to chat with us! So… we hear you’re currently working on a reboot of The Raccoons which we’re very excited about! What made you decide to do this and how will it differ to the classic 1980s series? A lot of the Raccoons fans are now having kids of their own. Many of them were reaching out and suggesting that we should think about doing a re-launch and aim it towards them and their new families – sort of a co-viewing opportunity. It was a very difficult process trying to decide which direction to go. Do you keep the ‘classic’ animation style – updating it from the original, or do you create a brand new modern approach to the characters’ style? Further, do you stay 2D as the original was – or do you go CGI – which many of the pre-school shows are produced in? 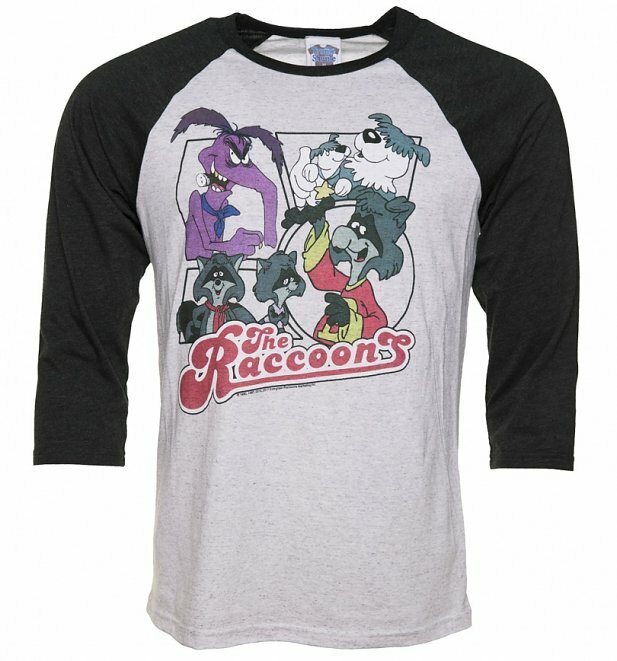 We have opted to update the original designs but kept much of the traditional classic tone and look that The Raccoons were known for. Stay tuned – as the jury is still out! 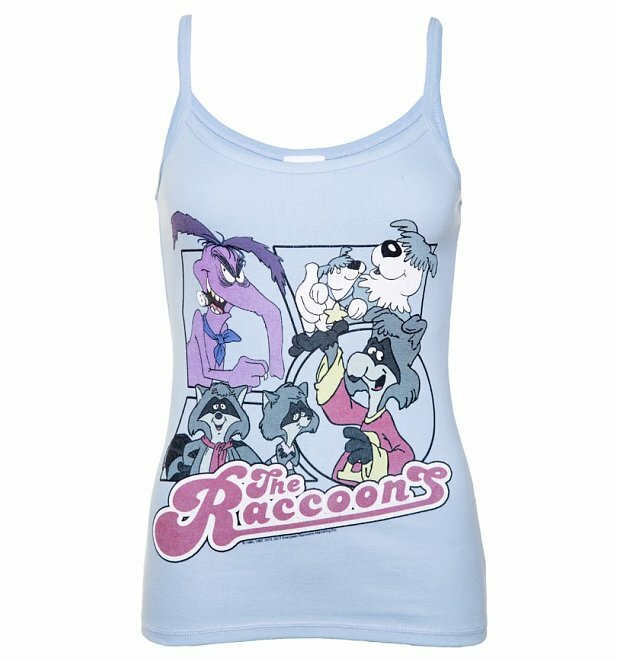 Not that we’re biased, but the 80s and 90s produced some of the best cartoons ever, of course including The Raccoons. What do you think made this such a special and iconic time for the entertainment biz? Up to this time, most of the animation we had known came from large US animation studios who had created their own iconic styles: Hanna-Barbera; Disney; Warner Bros; etc. Suddenly there was an appetite – mostly driven by broadcasters and young upstart studios and producers, to reach beyond the US fare and create new characters and styles of their own. It was a time when promoting independent creativity was cultivated. It was before the accountants ran the broadcasting systems – and original untested ideas from young writers, producers and directors had an opportunity to reach an audience. Although we’re sure there are many, if there was just one lesson you would like us 80s kids to have taken away from the years growing up with The Raccoons, what would it be? Hah! Well, seeding an interest in our fragile environment would have to be near the top of my list. That — and enjoying the characters and their stories. Which other classic cartoon show would you most have liked to have been a part of and why? I’ve always been a fan of The Simpsons. I guess I like dysfunctional family comedies. They seem so real! And The Simpsons was ground-breaking, giving rise to a burgeoning field of adult animation. And let’s not forget some of the great pioneer shows of animated comedy: The Flintstones, The Bugs Bunny Hour! Who were your favourite characters from the series and why? Writing for a villain is always fun. Cyril Sneer was no cookie-cutter villain. He was much more grey than black-hearted. He had a very soft spot for his son Cedric and was vulnerable to early childhood emotional scars – his obsessive need to constantly prove himself to Mr. Knox and Mr. Mammoth come to mind, as does his all-encompassing distaste for anything that the Raccoons were up to – especially Bert! I think Cyril’s complexity made him a favourite of mine. Can’t decide between the Pigs or Bert after that. They were both fun. Interestingly, the actor who played both Bert and Pig #2 (the “sycophantic, slow” one) brought both characters to life and made my job worth getting up for every single day. He was Bert Raccoon incarnate! Sadly, Len Carlson has moved on to the Evergreen Forest in the sky, where I am sure he is dreaming up new-fangled adventures just as Bert Raccoon would! If you could go back and do it all over again, what one thing would you most like to change about The Raccoons? Perhaps a character trait? Storyline? Or maybe something about how it was made? That’s easy: in hindsight, I would not have had Cyril with a cigar. We of course wanted to make Cyril the anti-hero and gave him character traits that you would not aspire to emulate as a child: how he treated his underlings (employees), his rants, his paranoia, his unending quest for wealth over anything else, his destruction of the environment, even his control over his son’s friends. We thought a cigar would just add to the persona. Regrettably, it has become a bit of an albatross as today’s broadcasters are concerned that it is politically incorrect and are reluctant to broadcast the series. We’ve always imagined working on one of our childhood favourite shows to be an absolute dream job (apart from creating amazing tees with them on that is!). Were there any funny stories or goings on in the making of The Raccoons you can share? I’m afraid if I did my life would be in danger. Did you ever slip any ‘Easter eggs’ or hidden gems into any of the episodes? We’d love to look out for them if so! We did our best to seek them out and destroy them. The animators, being the “paragons of virtue” that they are, would occasionally try to create, shall we say, visual “double-entendres”. I will leave it to your imagination what we were able to find. I’m sure we didn’t get them all – so if you find one, keep it to yourself. Check the Pigs scenes – they were notoriously risqué. Also the backgrounds in Cyril’s mansion – you never know what you are going to find in those dark recesses. With huge changes in how shows are made these days, how do you feel kid’s cartoons have changed since The Raccoons first came out? Are there any new series that you’ve seen and are a fan of? I am fortunate to have worked on a number of animated shows since The Raccoons with many talented young writers, animators, directors, actors, designers, etc. I have always been a fan of original designs and unique story-telling that pushes the accepted boundaries. I think what we did on Atomic Betty set game rules. Computer assisted animation has made a huge difference. In many cases you don’t even have to know how to draw to work as an animator on a series. Creating and colouring fabulous backgrounds has become quicker and easier. The time to deliver a series is much faster – so the relevancy of subject matter can be a very powerful tool in the hands of writers. I think the biggest change for young demos is the ubiquitous focus on 2 eleven minute episodes instead of a 22 minute “half-hour”. The format change has created quicker pacing, gag-oriented stories as opposed to more character based animated drama. Granted, we still have 22 minute stories for prime-time (The Simpsons, South Park, Family Guy, etc. ), but I think we have created an audience that demands instant-plotlines with a preference for gags over depth of character. Animating back in the 80s and 90s was such an intensive and manual process, do you think modern methods can still offer the same magic? Absolutely! If anything, the ability to instantaneously see your work as opposed to waiting for the film “dailies” to come back from the lab gives the creative team a multitude of options to pivot, polish, re-work, fine-tune — and still deliver on time. Control over your work has improved immeasurably. The digitization of the creative realm has offered all of the creative team the ability to react, reflect and make choices in real time. What do you think the animation industry will look like in ten years’ time? Do you think we’re likely to see more retro classics make a comeback? I think that low cost animation tools will be ubiquitous – anyone that wants to create a professional product will have the technical ability to do so. We will still be interested in great stories and characters that we care for but the distribution channels will be full of UGC – User Generated Content. Having a network determine whether your creativity is seen or not will no longer be relevant – if it is today. Retro versions of today’s hits will undoubtedly be part of the creative landscape – it’s the stories and characters that make your memories happy and worth revisiting. Regardless of method of delivery and/or technological advances, great content will always prevail. We would like to say a huuuuge thank you to Kevin Gillis for taking the time to talk with us and providing us with some amazing signed goodies which you can now win below. Such an honour. Up for grabs we have have a signed exclusive The Raccoons TShirt, a signed copy of season one and two of the Raccoons on DVD and a handful of The Raccoons badges to sweeten the collection! The competition will close at 11:59pm on Monday 29th May (29/05/17). Entries made any time before then will be counted. After this time the system will not accept any further entries. In the interest of fun and fairness… totally at random! The nifty Gleam system will hop, skip and jump into all your entries and pick out our lucky winner at random. Don’t forget! The more ways you enter, the more chance the plucky Gleam bots will pick you. Previous PostPrevious Father’s Day Gifts Ideas 2017 – The TruffleShuffle Guide To Nailing It This Year!